Last month I had the honor of attending a tasting in which one of the local San Diego wine brokers, Rob Rubin, dug into his cellar and opened a vertical of Grgich Hills Cabernet. The vertical went from 1981 to 1997. What a treat! I have always been under the impression that Miljenko “Mike” Grgich, received the short end of the stick in the movie Bottle Shock. It was his Chateau Montelena Chardonnay that was sent off to the tasting of Paris n 1976. His role in the movie was minuscule in comparison to his real role as winemaker of the famous wine. Well, today lets give him the praise he deserves for these outstanding Cabs. The wines held up surprisingly well. It is so interesting to see what Napa can do when winemakers treat Cabernet with an old world sentiment, focusing on terroir and acidity rather than alcohol and fruit. I unfortunately did not right down notes, however I did tweet some of my comments during the tasting. I will say that I am very impressed with the age-ability of these wines. It is a delight to see that Napa Cab, when made properly, has a tremendous life span. 1981 was a bit oxidized and missing most, if not all, its fruit. I thought for sure that the tasting was going to be a disappointment. 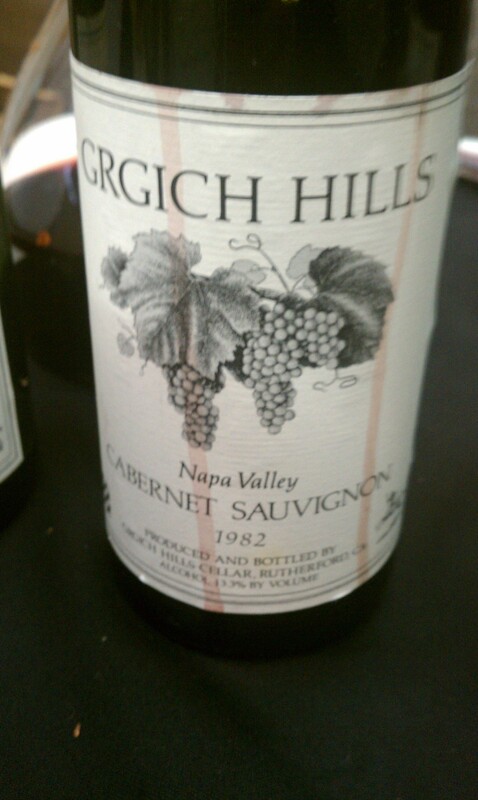 Just as I was trying to loosen up the wrinkles on my forehead, I tasted the Grgich Hills 1982. Wow, was right! It had structure, tannin, fruit and it blew me away. I can’t believe I am going to say this; but, here it goes… there are not many 1982 Bordeaux’s that could stand up to the ’82 Grgich Hills. The tasting progressed. The mid and late 80’s were all good, but nothing really stood. The wines had fruit, acidity and structure; but as Darren on Storage Wars would say, “The WOW FACTOR” was not there. Now this is not a bad thing…the wines were good and I would happily drink them again, but they just were not memorable. When I got to the ’90’s I knew we were in for a treat…’90 was showing great. The next wine was the ’91 which was slightly corked. The ’92 was the other stand out. 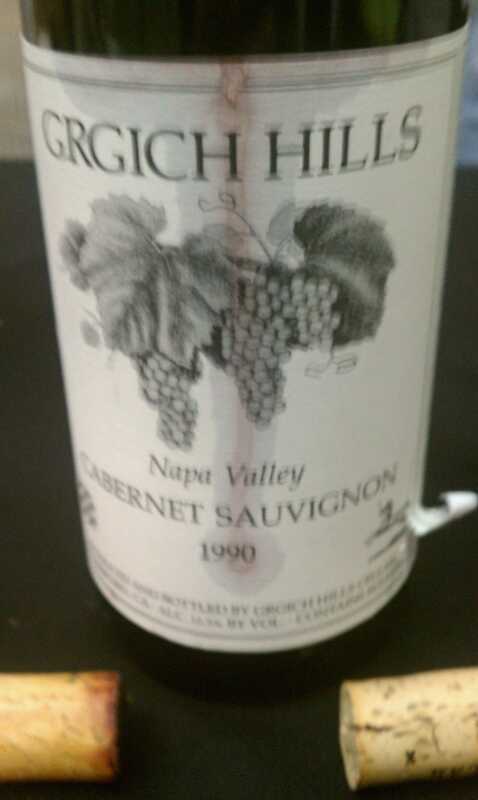 Between ’90-’94 the wines had a similar quality. There was definitely a focus on terroir. I think that the best of the early ’90’s was the ’92. Although the wine was a bit austere, there was still generous amounts of fruits, ranging from black berry to prunes and other bottle age notes, such as leather. From ’95-’97, the style took a different turn. Of course, we’re talking about vintages that were revered as some of the best in Napa; however, they were not “Oh My God” wines. The fruit was a lot more forward. It was the first time that terroir took a back seat to the fruit. I kid you not, the wines were delicious, but I don’t see them showing the same as the ’82 vintage when they turn 30. 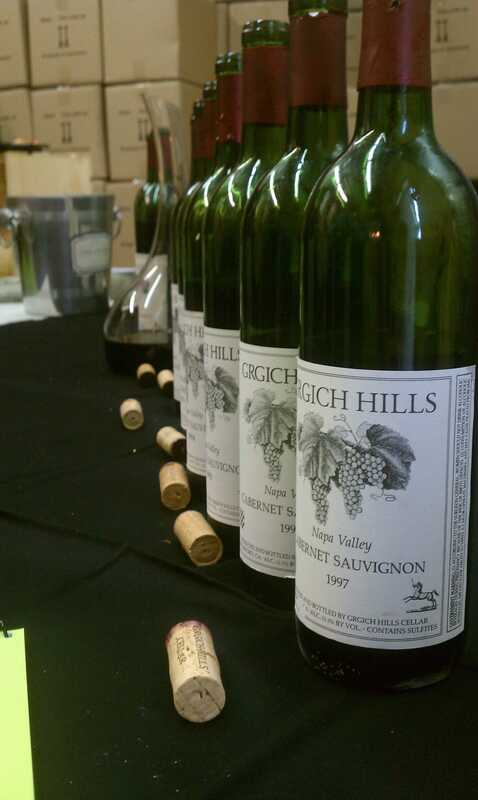 All in all, the wines show that Grgich Hills remains one of the most consistent wineries in Napa. While many wineries are in pursuit of ripeness, Grgich Hills strives for balance. Their focus of an old world sentiment has given them the greatest reward a winery could ask for, longevity.